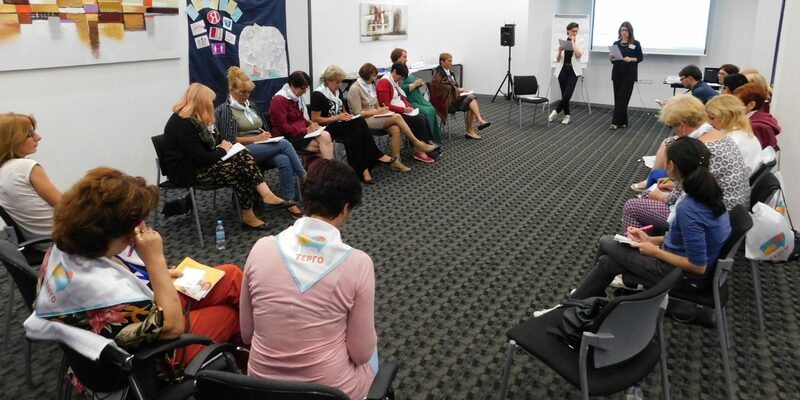 On September 22-23, Kiev hosted a training session of TERGO Parenting Initiative, titled “Intensive Learning, Modern Challenges of Sexual Education”, aimed to introduce to each other parents of LGBT people in post-Soviet countries and share their experiences. Two Armenian parents of LGBT people participated in the meeting. There were also parents from Georgia, Belarus, Moldova, Kyrgyzstan, Russia and Ukraine. The following topics were discussed and studied during the meeting: taboo issues in the family and how to deal with them, how to talk about sexuality with children, difficulties of LGBT children and parents, LGBT teenagers’ problems in educational institutions, how to protect and advocate LGBT children’s rights.